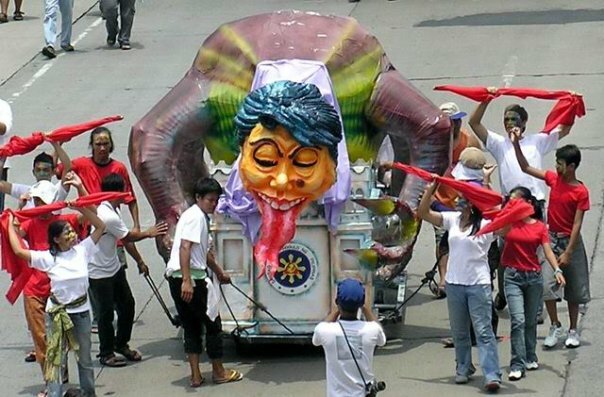 For the longest time, burning of effigies and other cultural performances have been initiated during the annual State of the Nation Address (SONA) demonstrations. 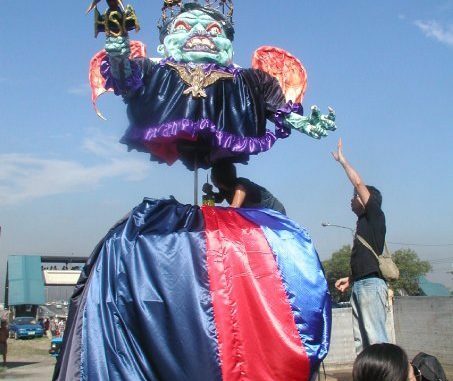 Having garnered enough fame to be a most-awaited feature of every mobilization, UGATLahi Artist Collective or UGATLahi stood out with its highly publicized initiatives on producing protest effigies that consisted mostly of depictions of presidents and the political situation under their regimes. UGATLahi, known for their Rody’s Cube and the Trump Fascist Spinner in the past year that became social media and online news fodder as netizens, local media and even international TV shows talked about and featured their creations. The group was formed as a cultural organization of artists seeking for social justice and social change. 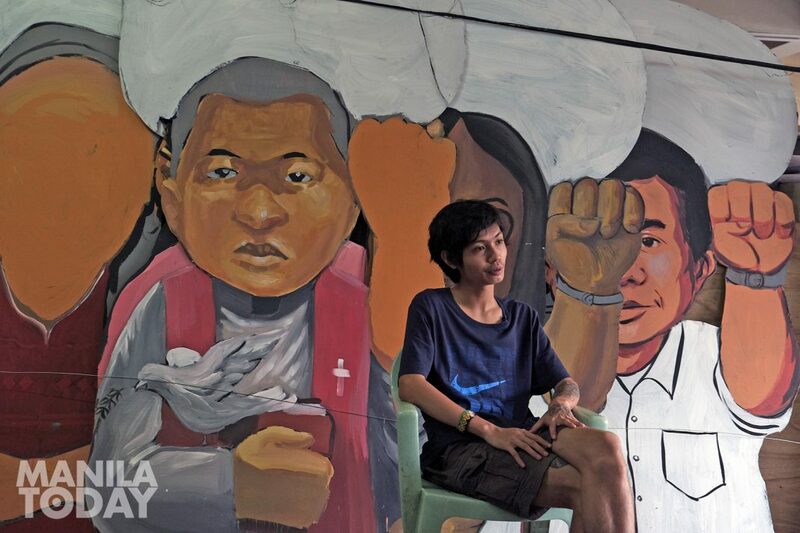 This organization has been at the forefront of forging artists unities for ‘art for the people’ and making artworks for SONA and other political events. They believe that it is necessary to change the society as a part of development of culture. The group started at the University of Santo Tomas in 1992. 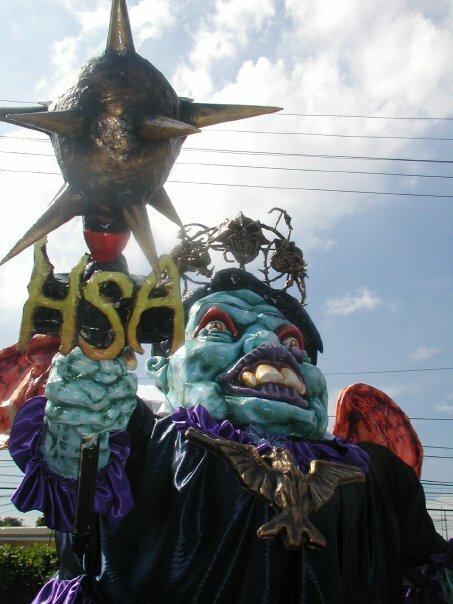 The organization started making effigies in 1998. A depiction of Gloria Macapagal Arroyo as a mythcal blood-sucking monster witch resembled the president’s vampire-like greed for wealth. UGATLahi depicted President Macapagal Arroyo as “Gloriang Tuko”. This gigantic lizard clinging greedily at a replica of Malacañang Palace. 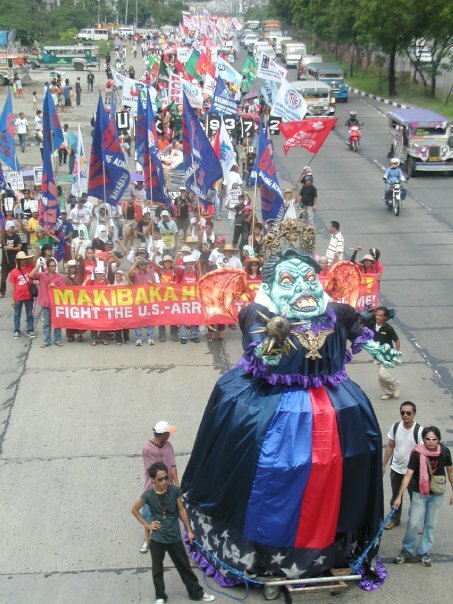 The effigy stood 9 ft high and 15-ft long. This represented the voracious and relentless will of PGMA for power. While Godzilla was showing in cinemas, UGATLahi Artist Collective made one of its earliest effigies alike. 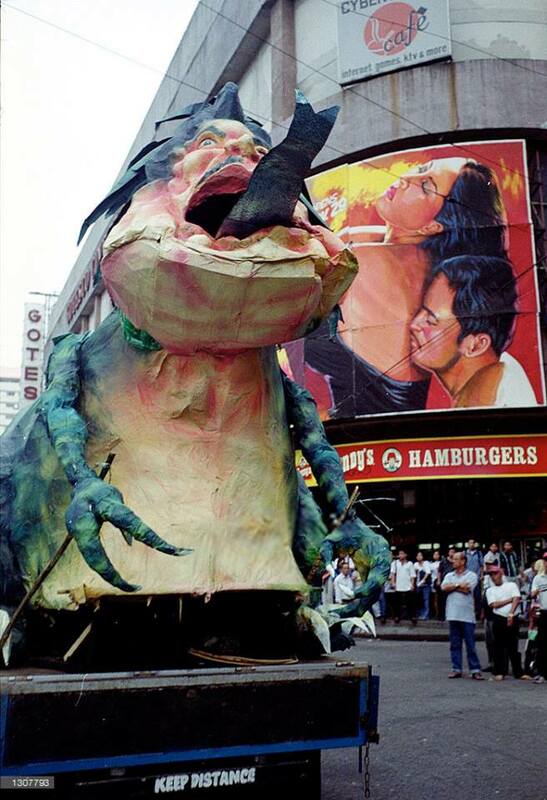 During the peak of the protest against former President Joseph ‘ERAP’ Estrada, Erapzilla was created. 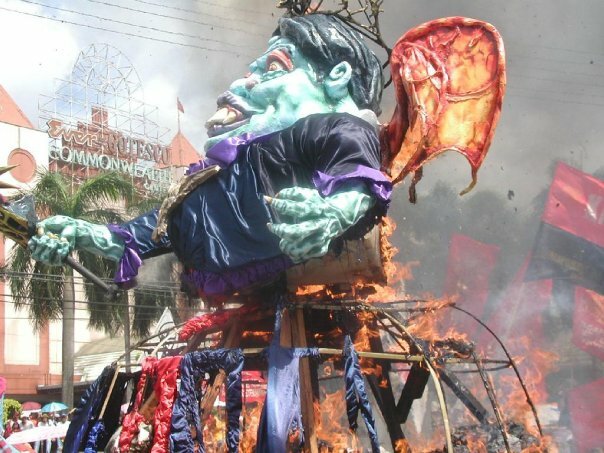 The burning of an effigy takes only a few minutes; the process of making one takes weeks. It takes more than skill and passion to build a remarkable effigy that will bring forth the message. Patience, creativity, and teamwork will play a huge role on making this complex structure. The making of an effigy starts with a concept and a theme. I interviewed Max Santiago of UGATLahi to tell us more about their craftsmanship and this year’s effigy. 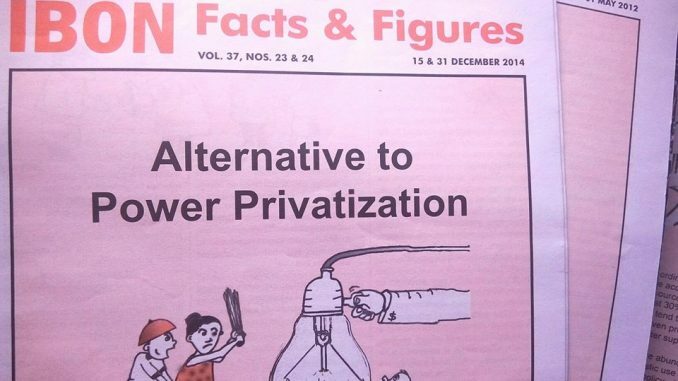 According to him, they developed a concept in coordination with the Bagong Alyansang Makabayan (BAYAN). The artists meet to brainstorm the image and then come up with studies. A final study will be chosen for the actual production. Carpenters play a major role on building the intricate framework of the effigy. Mang Naldo is the group’s ever-reliable carpenter and has been recognized as an honorary UGATLahi member. After the completion of the framework, painting and aesthetics will be taken care by the artists, giving it the finesse look that will make the message clear through the visual content implied by the effigy. The production of the effigy will take at least about a week to finish. 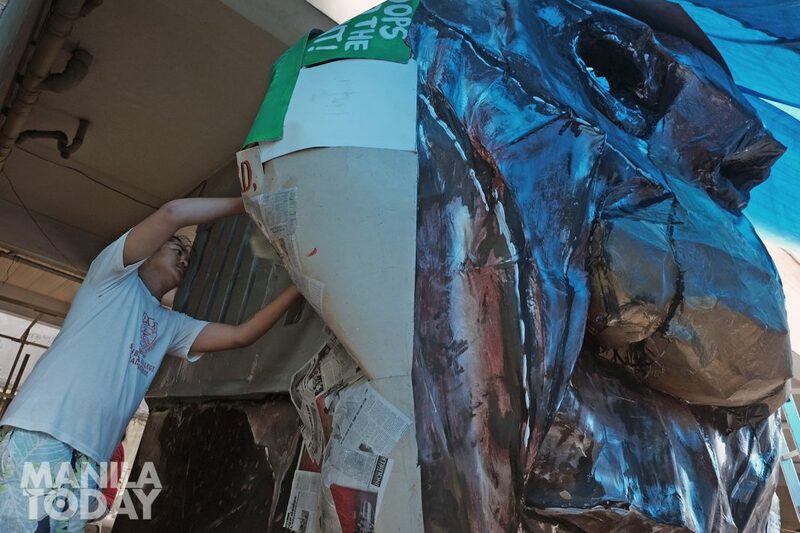 This year’s effigy is dubbed Dutertrain—a play on Duterte’s TRAIN Law policy that has been in the center of protests and the ire of the public. 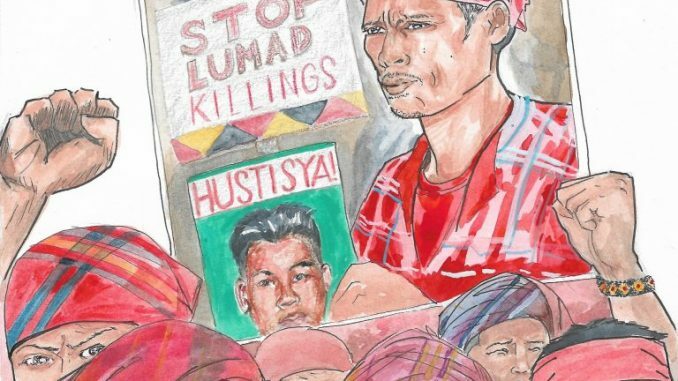 Visually, it is not only about the TRAIN Law, but also Duterte’s “three wars” – war on drugs, Martial Law in Mindanao and militarization in the countryside – as one tram will depict extrajudicial killings and fascism and the other the trampling of our sovereignty with US and China’s incursions in the country. But why are effigies burned after every program? According to Max, burning the effigies is a symbolic action for the hate and condemnation of protesters. Aside from tradition, burning of the images signifies the resolve of the people to put an end to an unjust regime. Through Ugatlahi, the skills and talents of every artists are used to emancipate the people from the dehumanizing chains of oppression in our society. They become instruments of social awareness and weapons against injustice in times of crisis. If you are interested to join UGATLahi, you can check their Facebook account for more details and see more of their artworks. The Dutertrain will be seen at the United People’s SONA mobilization on July 23. Rally starts at the University Avenue of UP Diliman at 12nn. 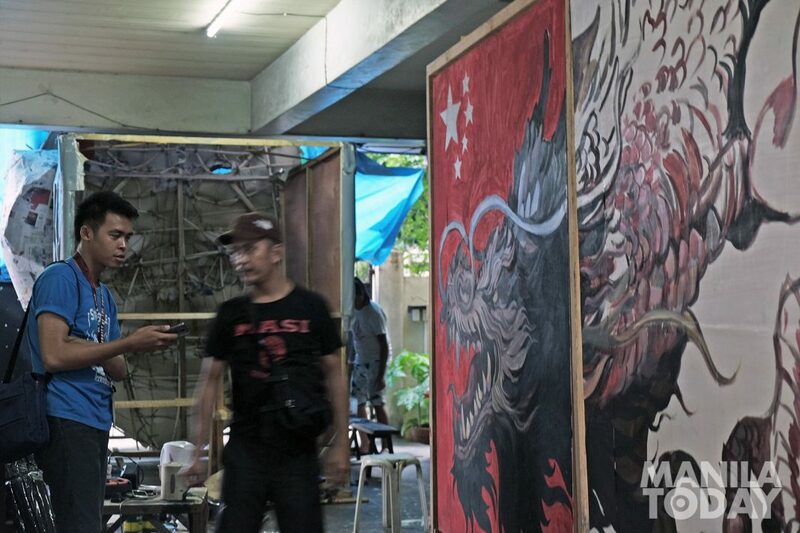 The post UGATLahi: Art in times of crisis appeared first on Manila Today.